Symptom-Based Diagnosis in Pediatrics features 19 chapters, each devoted to a common pediatric complaint. 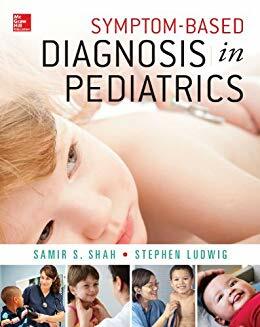 Within each chapter, five to eight case presentations teach the diagnostic approach to the symptom. The case presentations follow a consistent outline of History, Physical Examination, and Course of Illness, and are followed by discussion of the Differential Diagnosis, Diagnosis Incidence and Epidemiology, Clinical Manifestations, Diagnostic Approach, and Treatment. Cases are illustrated with vibrant full-color photographs and include numerous tables comparing potential diagnoses.